Audience expectations tend to be tricky things. To some degree this depends upon genre. 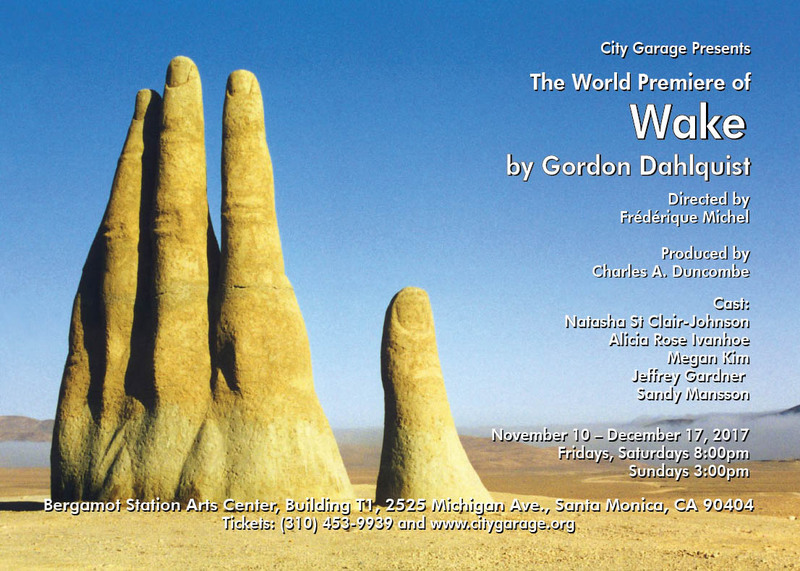 Wake by Gordon Dahlquist, if not science fiction, certainly begins and explores a pretty clear and well precedented science fiction trope. Someone wakes from cryogenic sleep far into the future and must adjust. Buck Rogers essentially. Irene (Natasha St. Clair-Johnson) had advanced pancreatic cancer and used her resources on a wild chance, that someone frozen in liquid nitrogen just might be revived in later centuries. When she wakes in a strange room to the greetings of May (Alicia Rose Ivanhoe), a cheerful young woman with a strange vocabulary, the truth dawns on her pretty quickly. It worked. Behold the future! At this point many a science fiction tale would begin describing the future world, if in fact the story turns out to be some kind of social commentary on the trends of human society. Or it may become some kind of adventure in which the awakened person will prove crucial to history or some such (this was the story of the second JJ Abrams Star Trek movie). I never thought the latter very likely here, but wondered how the first part of that expectation might play out. That at first May seems reluctant to tell Irene much heightened that expectation. At first. But increasingly, as we get to know more about this future, the less terribly important that became. Details all proved important, but not what the story was about. 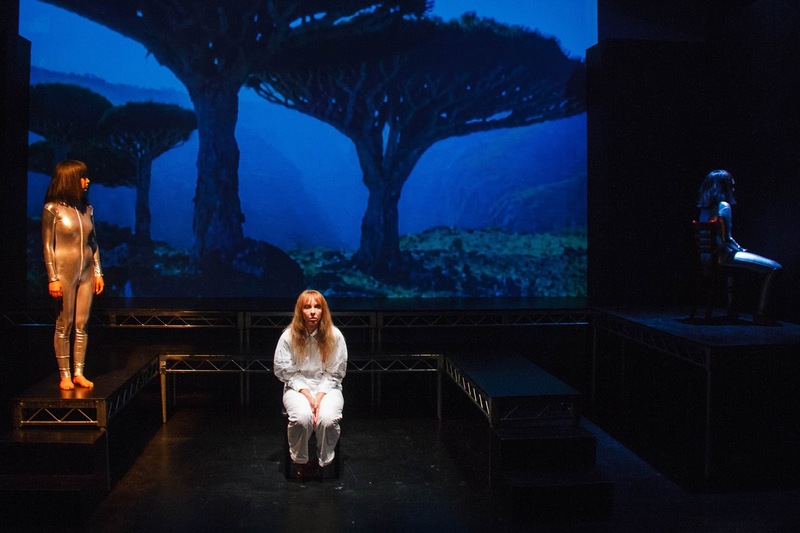 Irene began and remained the story's focus, for every moment, and she remained the only character on stage the entire play. All seventy minutes with no intermission. Even as we meet the sentient computer (or something like that) called The Platform (Megan Kim) that both runs and enables, nurtures and learns from the lives of those like May and her would be boyfriend Sen (Jeffrey Gardner), the more we share Irene's curiosity and frustration. When is this? How much time has passed? Hints given early prove disturbing. Her capsule? Found in sea water. People have very odd beliefs about her own time, not least the amount of violence. No one, not even The Platform, knows what she's talking about when Irene mentions ancient Egypt or the Pyramids. Her world is gone. Her context has vanished, evaporated over time. Hardly anyone else was ever found frozen and with enough left to be revived. That was Sarah (Sandy Mansson) who died decades ago. With us, Irene endures this loss -- the realization of being utterly alone, not physically nor literally, but robbed of every single detail that made life make sense. Not by anyone, just by chance. This then proves the exploration, the odyssey of this work -- not a revelation of plot or world-building, but of human courage in the face of tremendous loss. All in all, Wake does an astounding almost Haiku-esque job of giving us the heart, the soul of the story and very nearly nothing else. We see someone find courage to go on. To trust the supremely unfamiliar. To begin to let go of what after all can never come again -- the past. 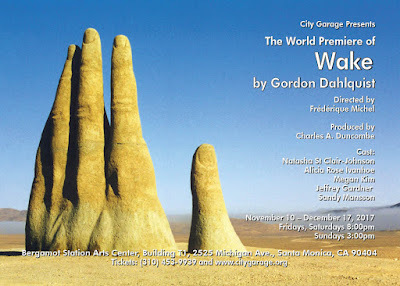 Wake runs Fridays and Saturdays at 8pm, Sundays at 3pm (pay-what-you-can at the door only) until Sunday, December 17, 2017 at the City Garage, Building T1, Bergamont Station, 2525 Michigan Avenue, Santa Monica CA 90404.